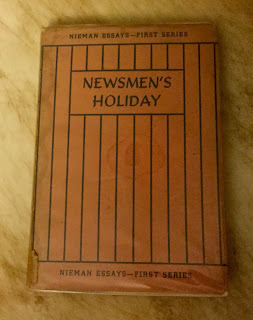 To us, who are regaled every morning and evening with intelligence, and are supplied from day to day with materials for conversation, it is difficult to conceive how man can subsist without a news-paper, or to what entertainment companies can assemble in those wide regions of the earth that have neither Chronicles nor Magazines, neither Gazettes nor Advertisers, neither Journals nor Evening-Posts. All foreigners remark that the knowledge of the common people of England is greater than that of any other vulgar. This superiority we undoubtedly owe to the rivulets of intelligence which are continually trickling among us, which every one may catch, and which every one partakes. Do you remember when journalists reported the news exactly as it occurred––or as they fervently believed it occurred? And an overwhelming majority of newspaper readers actually believed what the journalists reported. But in today's polarized society, all that has changed. Nowadays, most people get their news from their favorite TV news shows or from social media. And people only believe what they want to believe. There are all sorts of information reported as news: alternative facts, misinformation, and outright lies. Then there is fake news: any news report that, in Donald Trump's opinion, treats him unfairly. 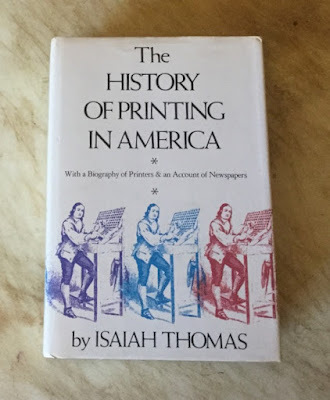 I still regard Isaiah Thomas's book, The History of Printing in America, as the bible on printing in America. 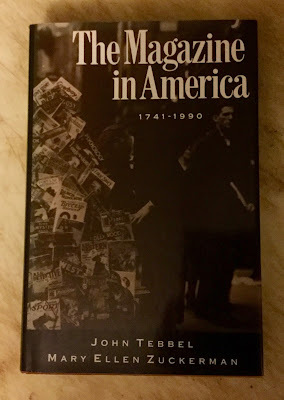 And, as its subtitle states, it includes an account of early newspapers printed in America. 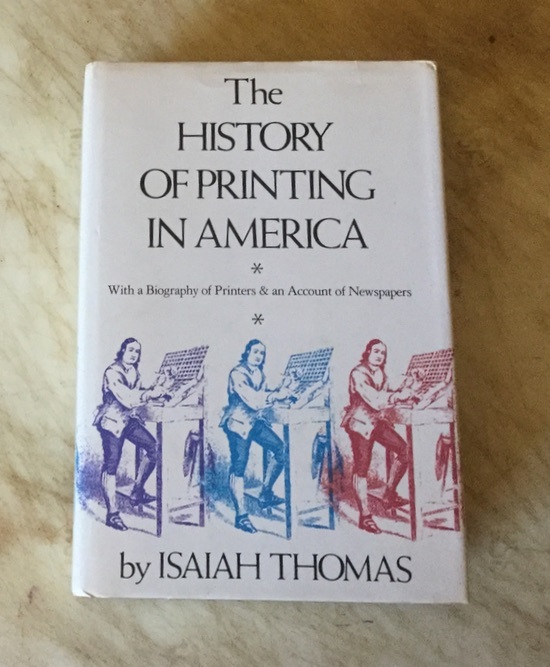 In the first edition of his book, Thomas informed his readers that the first Anglo American newspaper printed in America was printed by the Boston postmaster in April 1704. Isaiah Thomas gathered corrections and notes for a second edition, but never got around to publishing it before he died in 1831. The American Antiquarian Society, however, published a second edition in 1874, using Thomas's notes. 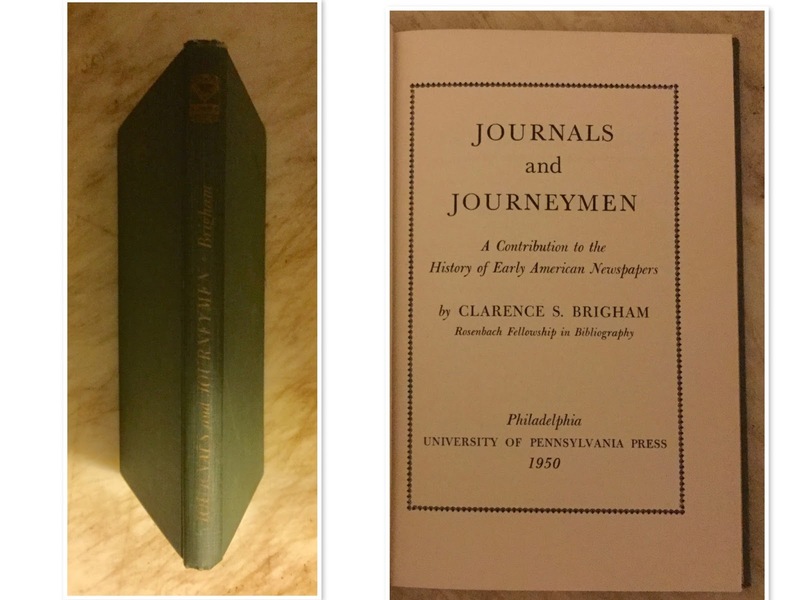 And in 1975, Marcus A. McCorison of the American Antiquarian Society edited a third edition. From Thomas's notes, the name of the postmaster, John Campbell, and the exact date of the publication of the newspaper, April 24th, 1704, were added to the later editions. Nota Bene: I am aware that some sources cite Publick Occurrences, published in 1690, as the first American newspaper published in America. More on that later. Clarence S. Brigham was the author of The Bibliography of American Newspapers 1690-1820, published in three volumes in 1947. His bibliography served as the source for his lectures as a Rosenbach Fellow in Bibliography, which were then published in this book. Brigham thought long and hard before deciding on the title of his lectures. 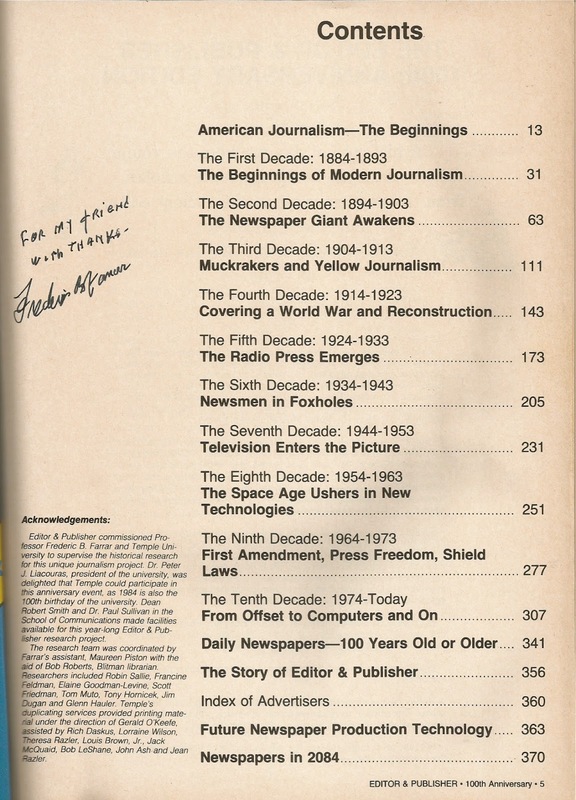 "Memoranda Regarding Early American Newspapers," and "Stray Notes for a History of Journalism" were two choices as the title. Another, suggested by a critic, was "Ravelings from My Bib." One of his lectures was on the topic of "Newspaper vs. Magazine" in which Brigham stated that it was hard to determine if a publication was a newspaper or a magazine. He cited an instance involving Isaiah Thomas. When the state of Massachusetts passed a state tax on advertisements in newspapers, Thomas changed the name of his publication from Thomas's Massachusetts Spy to Worcester Magazine. 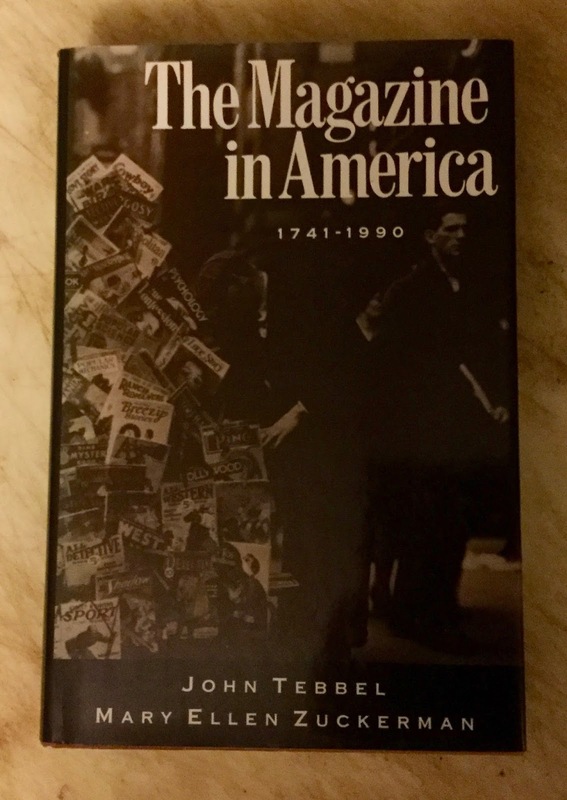 John Tebbel, the author of the four-volume set, A History of Book Publishing in America, went back to his roots as a newspaperman and worked with Mary Ellen Zuckerman, an expert on magazines, to produce a comprehensive book on the history of the magazine industry in America, from magazines for women, for men, for political purposes, and for just plain intellectual enjoyment. 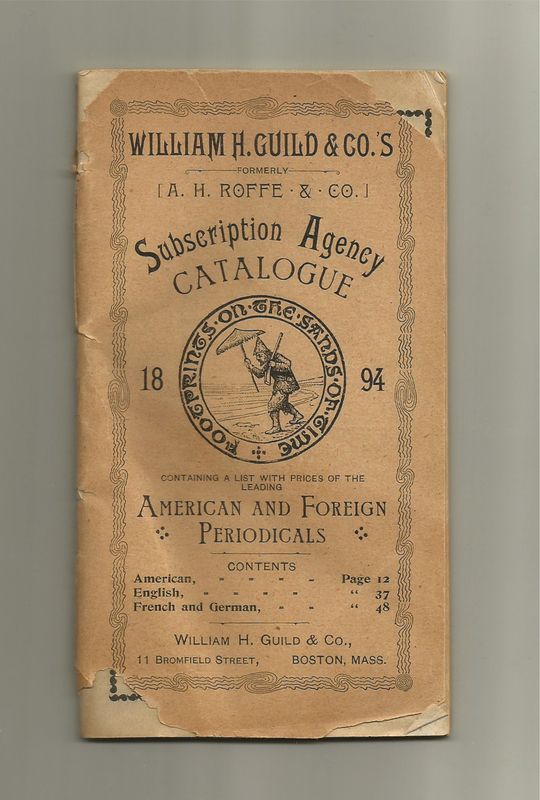 Here's the 1894 edition of William H. Guild's Subscription Agency Catalogue, listing the leading American and foreign periodicals of the day. 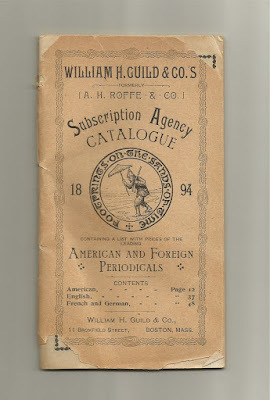 The company also offered up-to-date sets of the Atlantic Monthly, Century, and Harper's Monthly. This pamphlet is a workbook for high school history teachers. It was written and published in 1975 by my friend, the late Frederic B. Farrar. 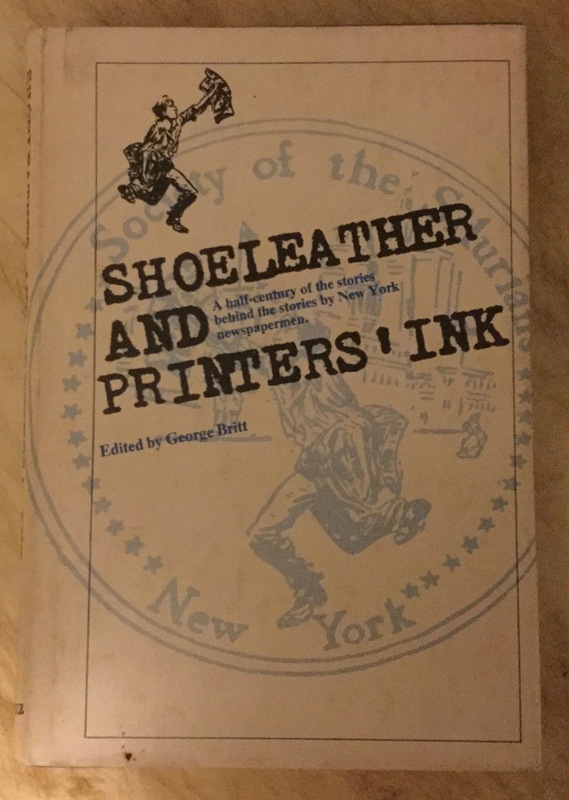 The title is the same title as his thesis for his master's degree from Adelphi University in 1975. The pamphlet contains excerpts from early newspapers in Fred's newspaper collection that reported on early events in American history, from the Jan 21, 1737 issue of the Country Craftsman (London) covering the trial of Peter Zenger to the Sept. 19, 1787 issue of the Pennsylvania Packet containing the first printing of the United States Constitution. Some of these early newspapers are the only sources for a particular event. Many illustrate the problems we have today as we try to keep up with the march of time. One of these is the confusion of some events, and the reporter or historian's difficulty in obtaining exact information. Because someone identified a hill incorrectly, it can be argued that there never was a Battle of Bunker Hill. It should probably be named the Battle of Breed's Hill. 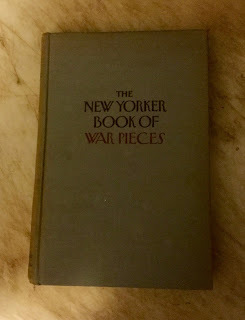 Perhaps the most famous and long-lasting battle of all is the one historians and journalists wage for what sometimes, in our earnestness, we redundantly call the "true facts." 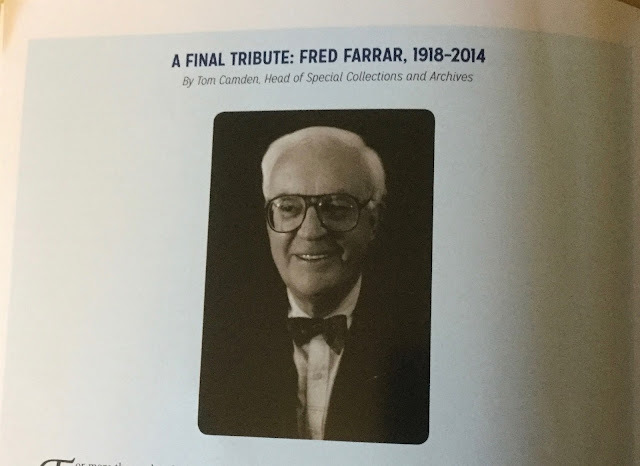 Editor & Publisher commissioned my friend Fred Farrar to supervise the historic research for the 100th Anniversary issue of this trade magazine in 1984. 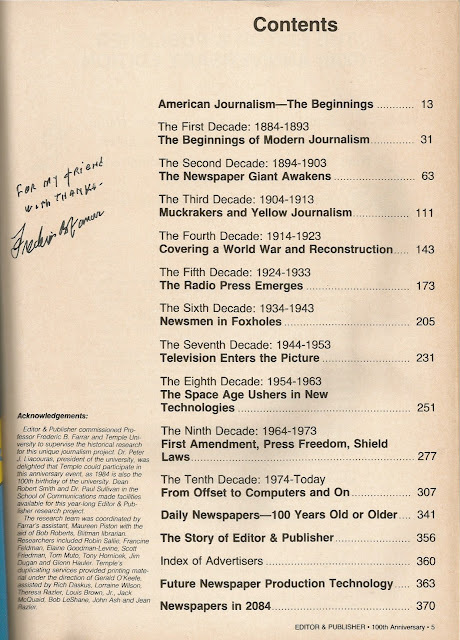 Fred lead off the issue with an article of his own: "American Journalism––The Beginnings. In this article, he, too, cites Campbell's Boston News-Letter as the first American newspaper. 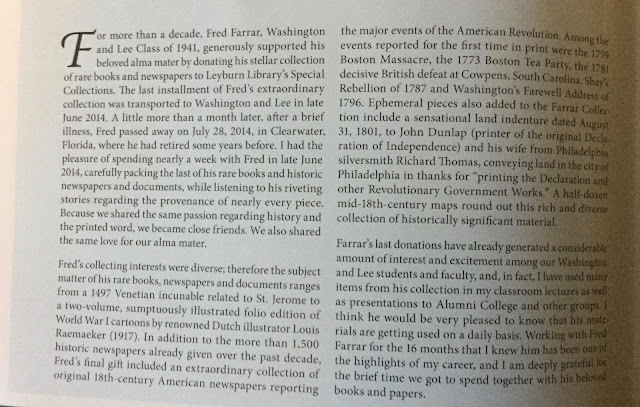 Fred mentions two earlier attempts to start newspapers in Boston: Samuel Green's broadside, The Present State of the New-English Affairs, in 1689, and Benjamin Harris's Publick Occurrences less than a year later. Fred didn't consider either of these two as "the first newspaper" because neither printer published a second issue; they failed to obtain permission to print the news. 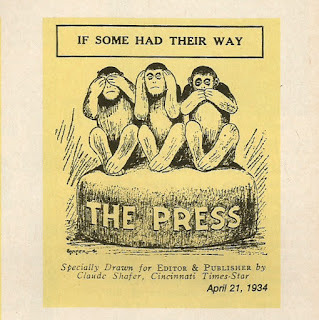 The rest of the anniversary issue is a virtual trip down memory lane with articles and cartoons and advertisements that appeared in Editor & Publisher from 1884 to 1984. 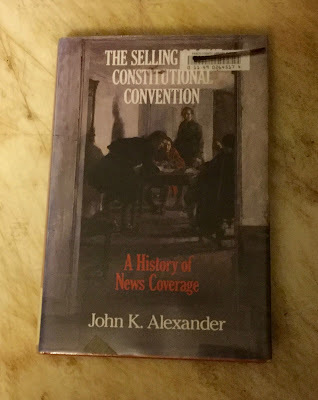 In 1990, Madison House Publications in Wisconsin published The Selling of the Constitutional Convention: A History of News Coverage by John K. Alexander. His book covers news reporting before and during the Constitutional Convention. Newspaper editors went from reporting the news to controlling the news, publishing only articles favorable to Federalism. 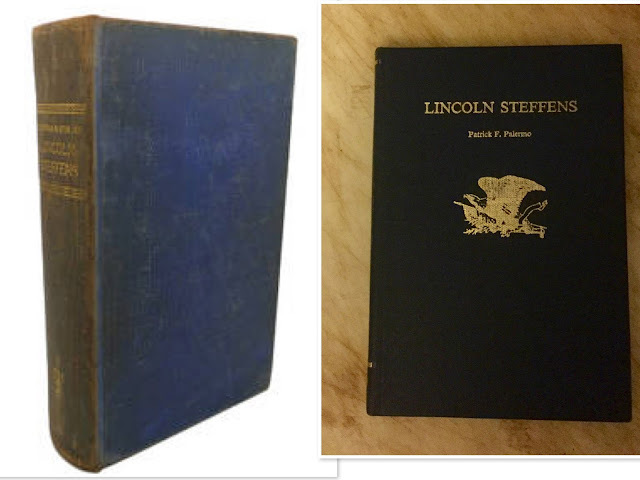 The Federalist was first published in book form in 1788 (my copy is a reprint from the Everyman's Library series). But the essays, written by Alexander Hamilton, James Madison, and John Jay, first appeared in three New York newspapers of the day in 1787 and 1788: The Independent Journal, The New York Packet, and The Daily Advertiser. The purpose of the essays was to convince the citizens of New York to ratify the Constitution. But The Federalist essays weren't the only essays written during the public discussion on the ratification of the Constitution. In 1888, Paul Leicester Ford published a book containing essays written by both Federalists and Anti-Federalists that were published during these public discussions about the Constitution in 1787 and 1788. 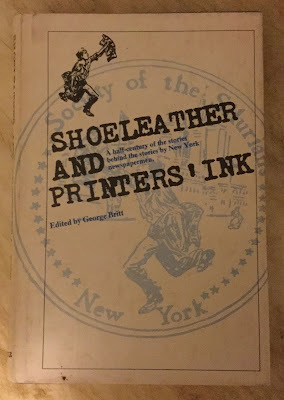 Among the statesmen whose essays are included in this book are George Clinton (Cato), James Winthrop (Agrippa), Oliver Ellsworth (A Landholder), and Spencer Roane (A Plain Dealer). Many of the essays were written as replies to the arguments presented by one of the other statesmen: eg. there are two letters written by Alexander Hamilton under the name of Cæsar in which he disputes the arguments of Cato (George Clinton). These two letters appeared in The Daily Advertiser in October 1887, and were not included in the first edition of The Federalist. 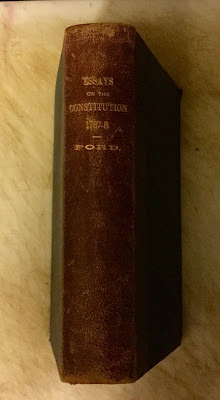 The Federalist essays were published in three New York journals; the essays that Ford selected were published by various journals in several states: Pittsburgh Gazette, Independent Gazetteer, (Philadelphia), Maryland Journal, New York Journal, Pennsylvania Gazette, North Carolina State Gazette, Connecticut Courant, Daily Advertiser, Massachusetts Sentinel, American Herald, Humphrey's Mercury (Philadelphia), Virginia Independent Chronicle, American Mercury (Connecticut), and the New Haven Gazette. General Pershing pulled newspapermen from the ranks in World War I, and had them publish a newspaper to keep the soldiers informed. 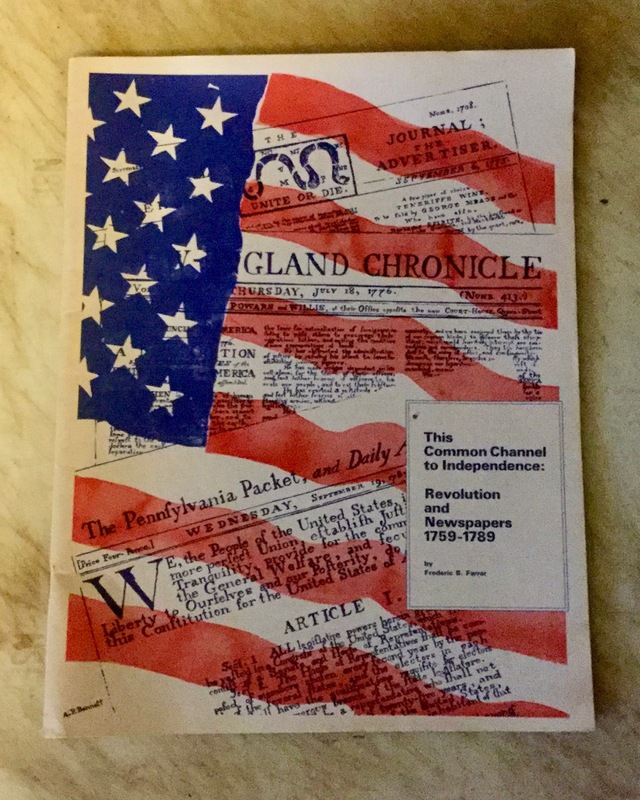 In less than 18 months, the circulation of The Stars and Stripes had grown from 30,000 copies to 500,000 copies. 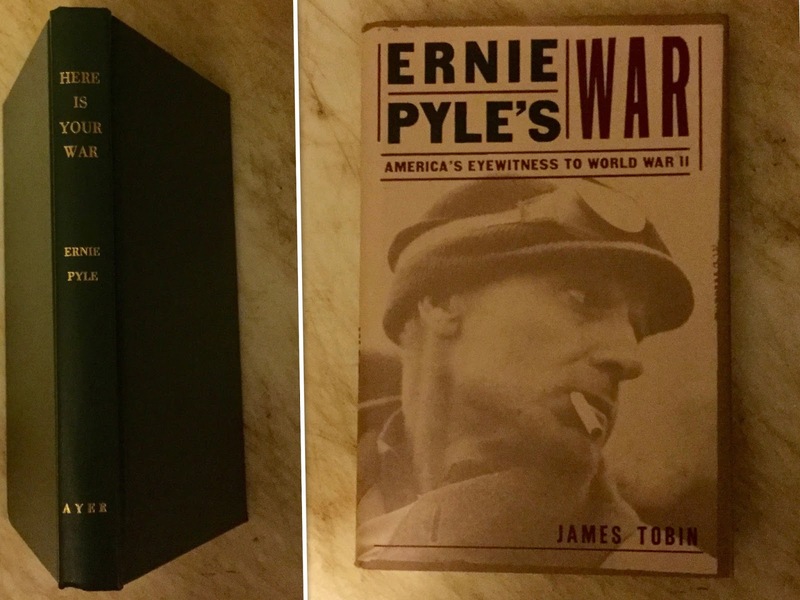 Ernie Pyle was one of the war correspondents who kept the American people informed during World War II. 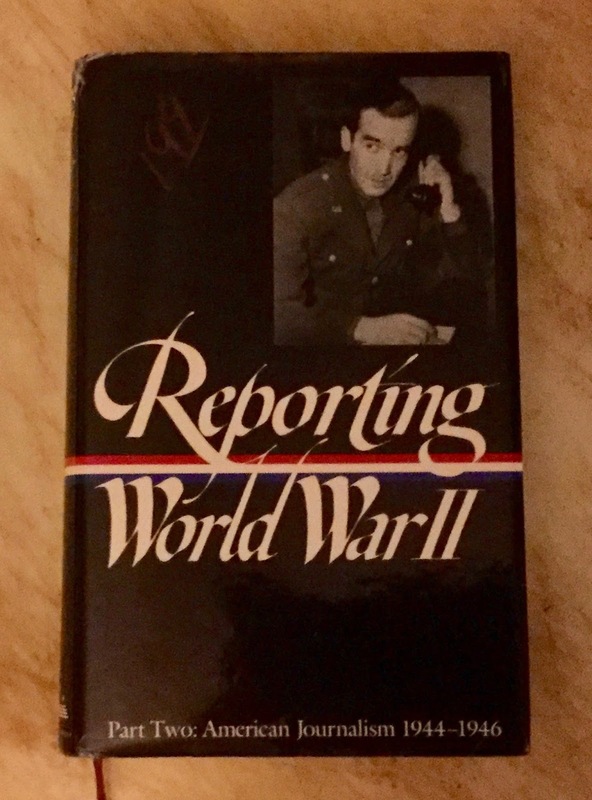 From the Battle of Britain, to D-Day in Normandy, to the liberation of Paris, he provided first-hand reports of how the American G. I. was performing on the battlefield, winning a Pulitzer prize for his reporting. When the war in the European theatre was winding down, Pyle began reporting the news in the Pacific theatre. He was killed by Japanese machine-gun fire on April 18, 1945 on the island of Ie Shima, just north of Okinawa. 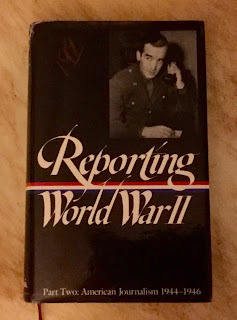 Some of Ernie Pyle's news reports are included in this book about the news reporting of the last 18 months of World War II. Also included are news reports by John Hersey, Edward R. Murrow, Martha Gelhorn, A. J. Liebling, and Janet Flanner. 562 pages of riveting new reports that first appeared in The New Yorker, from Mollie Panter-Downs's Sept. 9, 1939 Letter detailing the Londoners carrying gas masks and preparing to evacuate to John Hersey's report on Hiroshima on Aug 31, 1946, detailing the accounts of six residents of Hiroshima who survived the dropping of the bomb on Hiroshima on August 6, 1945. 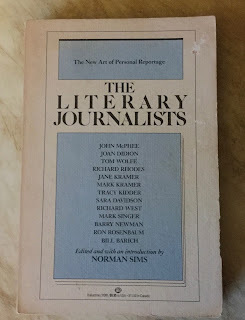 In 1984,when this book was published, literary journalists were those journalists who delved into a story, not head first, but with slow and deliberate steps, to get all the parts to a story, and then to reconstruct it for the reader. George Orwell was a literary journalist as was John Hersey and Truman Capote. 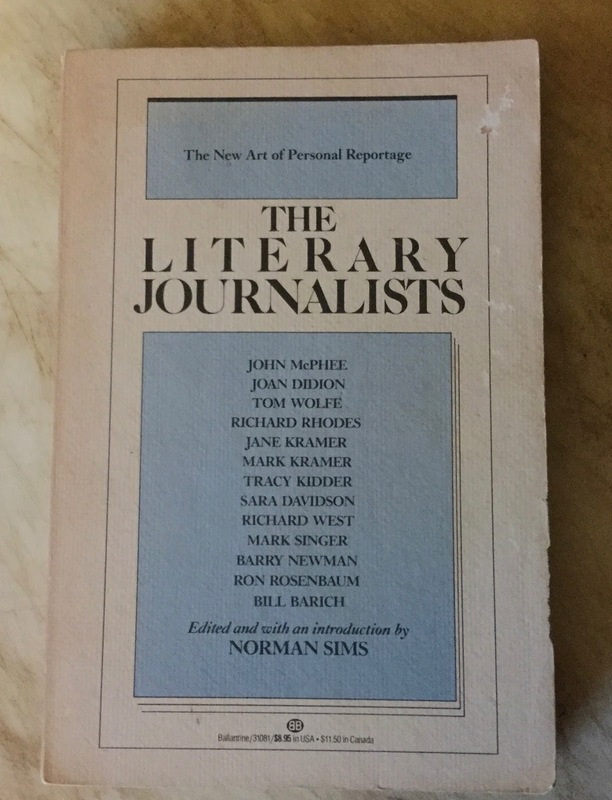 The manner of writing may have been called by different terms, one of which was "New Journalism." Today, we might even refer to it as "investigative journalism." What safeguards are in existence at the highest level of government to protect against an unlawful launch order... what checks and balances there are to assure that a launch order could not be affected by the President gone berserk or by some foreign penetration of the command system. Scary stuff, yes. Rosenbaum delves into the entire nuclear warfare scenario; but he never finds an answer to the ICBM Launch Officer's question. Rosenbaum did, however, discover that in the last days of Nixon's Presidency, Secretary of Defense James Schlesinger gave orders to communication centers in the nuclear chain of command that he be personally notified of any unusual "orders" from the President. That, at least, is comforting to know. 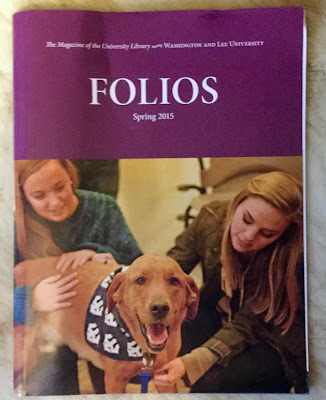 Since 1938, the Neiman Foundation has brought journalists to Harvard to further their studies, however which way they so desire. 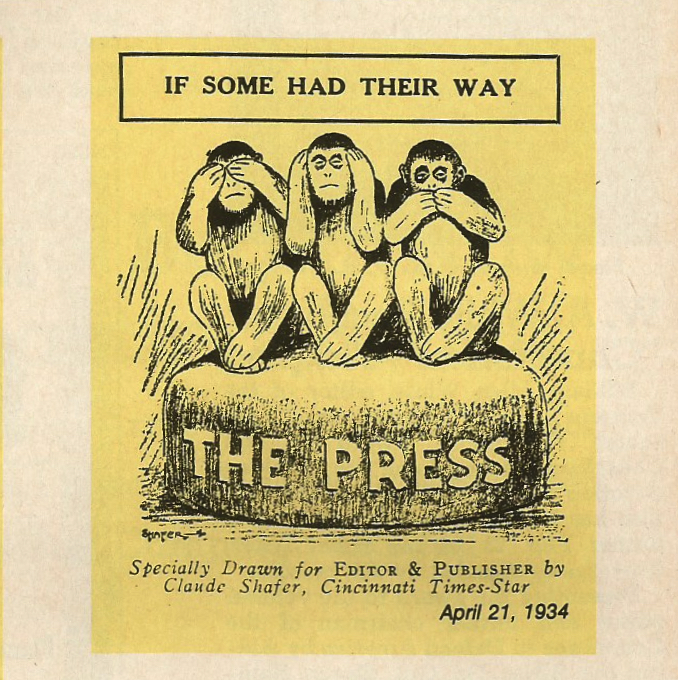 The Class of 1942 decided to assign topics pertaining to the newspaper industry to one another, and then have open discussions about newspapering. Publishing their essays in a book was an afterthought. 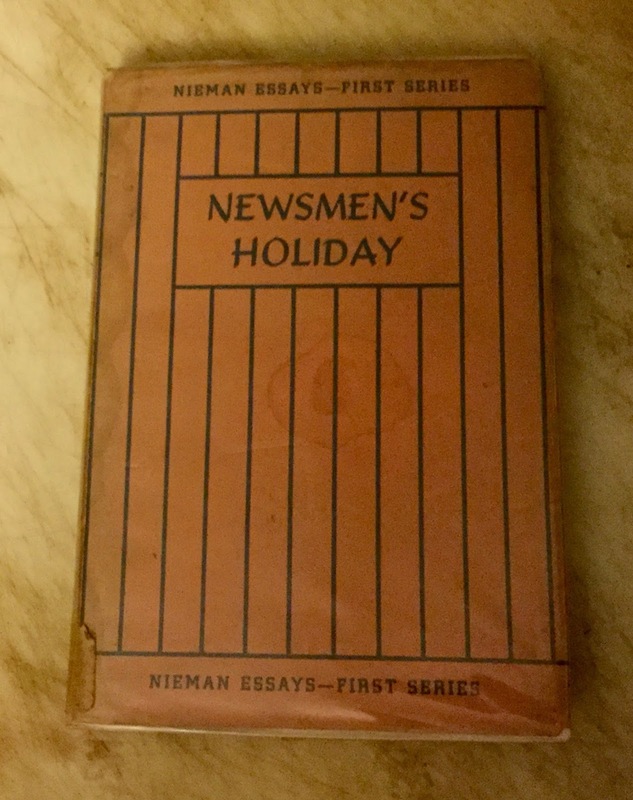 The subtitle, Nieman Essays – First Series, should probably read "first and only series" because I don't believe there ever was another series published. The Silurian Society, the nation's oldest press club was founded in 1924. The original qualifications for membership was that one must have worked on a New York City paper as a reporter, editor, cartoonist, or illustrator thirty years earlier in 1894. 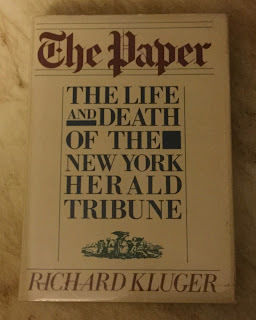 To celebrate its 50th anniversary, the Society published the experiences and afterthoughts of over 80 New York newspaperman, which had appeared in issues of the Silurian News. I may have given Steffen's autobiography away because I can't find it in my library. 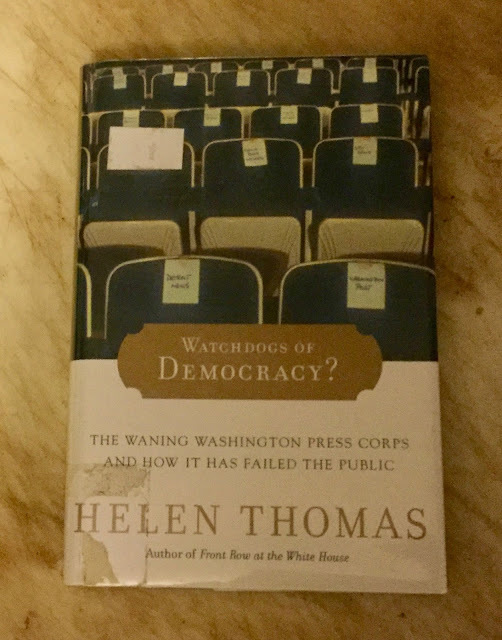 At 884 pages, it was a long but very interesting read about muckraking in the United States. I remember that I had a hard time putting the book down. I have yet to read Palermo's book. And after reading Steffen's autobiography, I'm afraid that reading anything else about Steffen will be a disappointment. 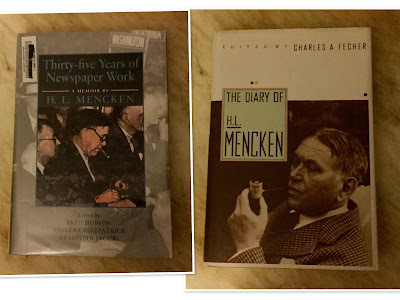 As per H. L. Mencken's wishes, the manuscript of Thirty-Five Years of Newspaper Work and Mencken's diary were under time-lock at the Enoch Pratt Free Library in Baltimore. In both books, Mencken recalls his days as a newspaperman and columnist for the Baltimore Sun and as editor of the American Mercury. A former owner of the diary, a Palm Harbor resident, really liked the book. She read it in 8/91, reread it in 5/95, and reread it again and again and again in 1/00, 12/02, and 12/05. George Seldes's book, first published in 1938, is a blistering attack on the members of the American Newspaper Publishers Association. 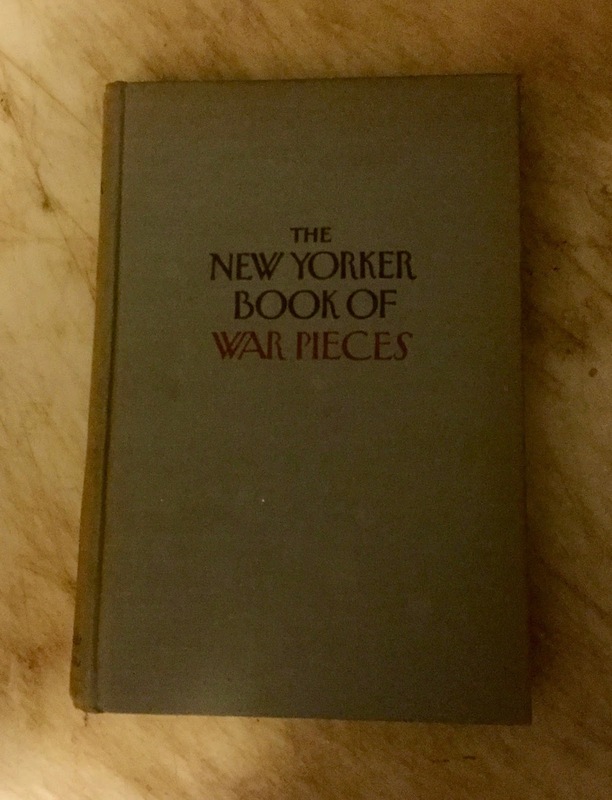 With the exception of Joseph Medill Patterson, publisher of the New York Daily News in the 1930s, Seldes portrays 99% of the publishers as Dictators of the Press, commanding reporters and editors to post the news as the dictators wanted it to be posted, and not as it actually occurred. 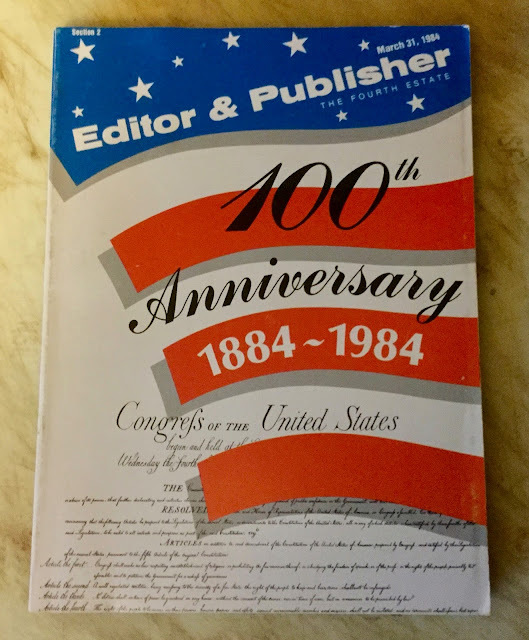 I have been privileged to cover nine United States presidents, sometimes with sympathy, sometimes with outrage, but most often with critical eyes and a conviction that they all could have done better for the country. Now I have to say the same thing about the press, or what is sweepingly called the media. Something vital has been lost––or have American journalists forgotten their role is to follow the truth, without fear or favor, wherever it leads them? The truth, rather than an agenda, should be the goal of a free press. John F. Kennedy's assassination was a shocking event. Many Americans, myself included, were glued to their television sets not wanting to believe what had just happened. 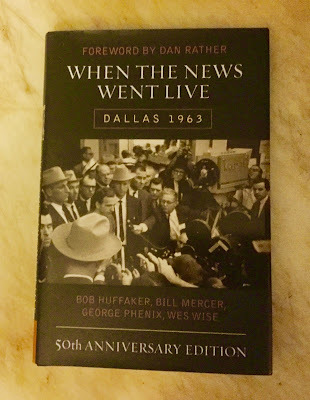 They were still watching TV two days later and witnessed Jack Ruby fatally shooting Lee Harvey Oswald. Television had now become the dominant news source in America. 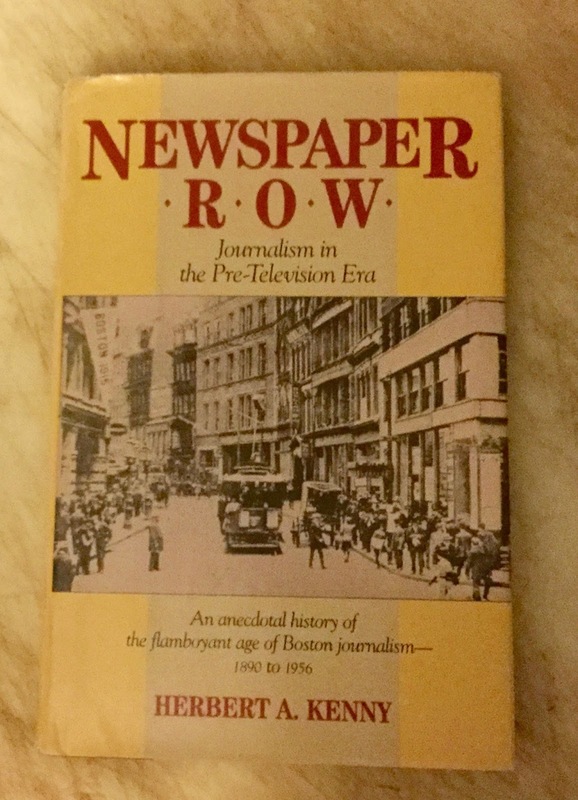 This book provides a history of Newspaper Row in Boston. 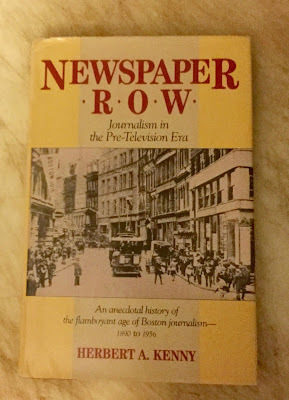 Its author, Herbert A. Kenny, begins by saying that "Boston has very properly been called 'the cradle of American journalism." Kenny writes that Publick Occurrences is generally regarded as the first newspaper published in the colonies. And he calls John Campbell, the Boston postmaster who published the Boston Newsletter (sic) in 1704, "the father of American journalism." Gradually, the newspapers vacated Newspaper Row and built more modern and efficient plants elsewhere in the city. On Guard provides a history of the first 150 years of the Detroit Free Press, from its beginnings in 1831 up to 1981. 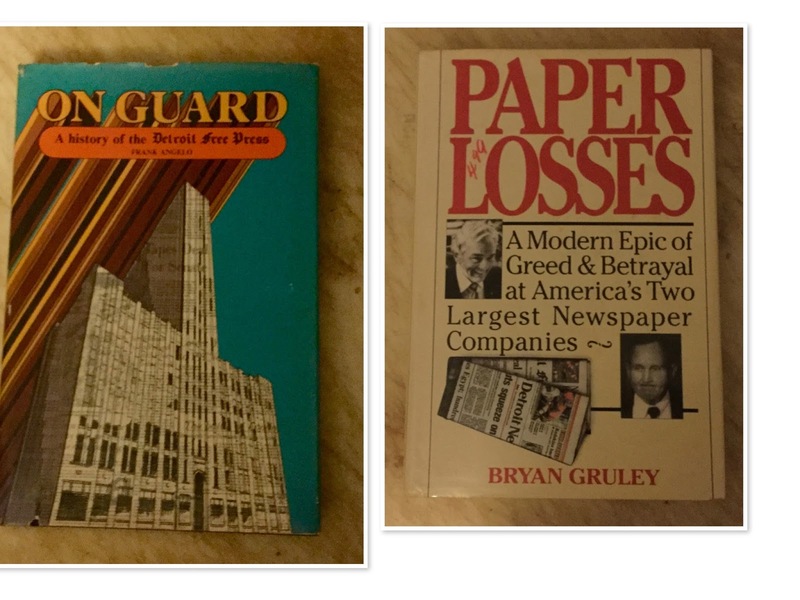 Paper Losses tells about the years-long feud that went on between the Detroit News and the Detroit Free Press. 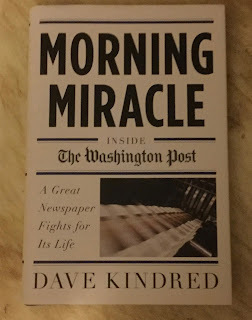 The very first sentence of this book tells it all: "This is the story of two American newspapers who tried to kill each other." 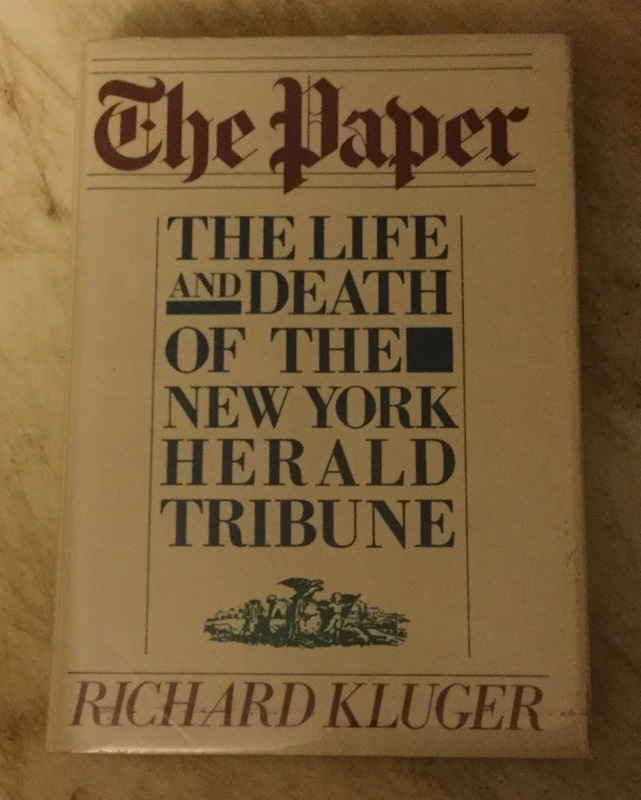 This book is a mammoth 801-page history of the New York Herald Tribune from its first publication in 1842 to its demise after prolonged labor strikes in 1966. 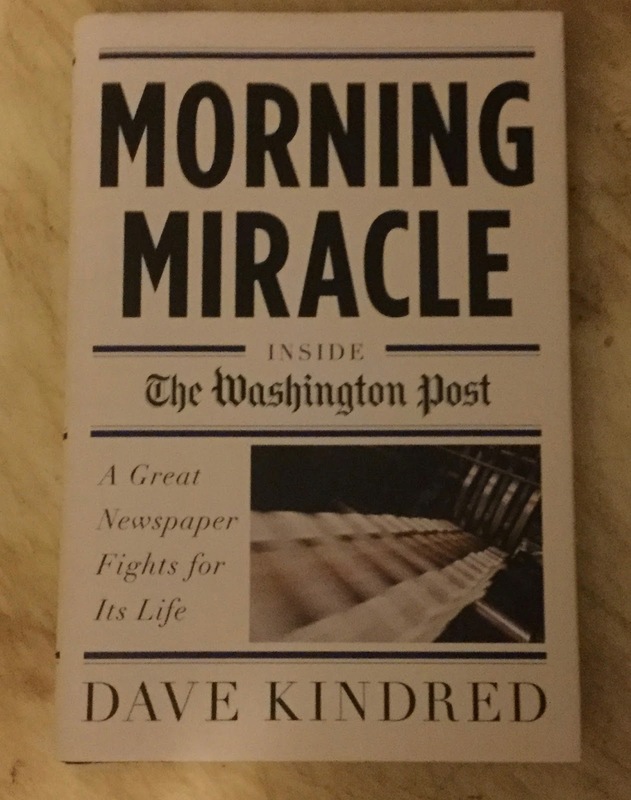 When Ben Bradlee was the editor of the Washington Post, he made the following acknowledgement: "We ought to call this thing 'The Morning Miracle.' It's a miracle we get it out every morning." I dunno. 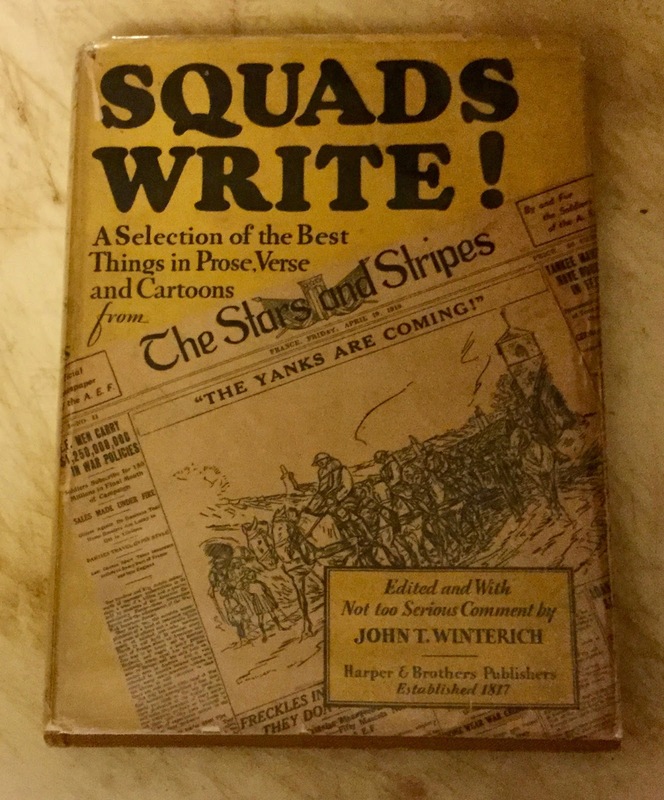 But I know whatever happens, there'll always be a few of us, a band of brothers, or a band of sisters––a band of people, damn it––who call themselves journalists, who will write what they believe the truth to be. Excellent article, Jerry. As a former employee of the Detroit Free Press, I can attest to the viciousness of the Newspaper Wars in Detroit. Keep these pieces coming. They are always so interesting.